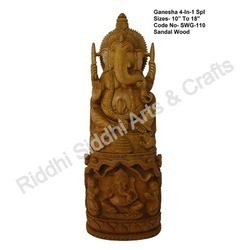 Our product range includes a wide range of wooden ganesha statue, wood ganesha statue, wooden ganesh statue, ganesh statue, lord ganesha sculpture sandalwood ganesha wood crafts and white wood god statue. 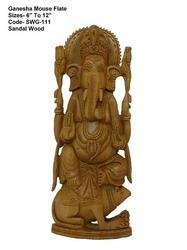 This spectacular hand-crafted wooden Ganesh statue is unique both in elegance and sophistication. 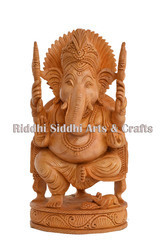 This beautiful Ganesha Statue made by a master craftsman of Rajasthan. Ganapati or Ganesha is the god of wisdom, who is also called Vighnesvara (“the lord presiding over obstacles”). 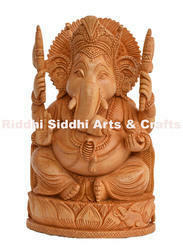 In sculptures, Ganesha is always shown with a plump human body topped by the head of an elephant. 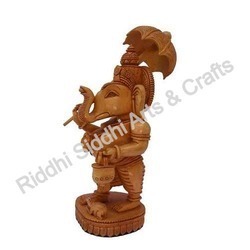 Worshiped throughout Hinduism, he is invoked at the beginning of any enterprise, for his is the power to remove obstacles but also to place them in the way of success. 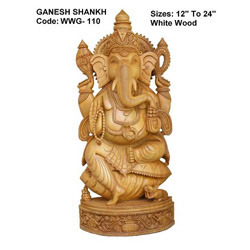 A statue of Ganesha is a symbol charged with many rich meanings. For example, his huge belly, containing the world, is surmounted by his elephant head, signifying the world beyond, the metaphysical reality. 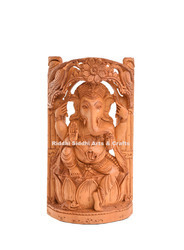 We are offering wide range Ganesh Statue to our client at very economical price and liked by clients for excellent finish of our product.